This can be a meal in itself – great for lunch or supper – but I had it last night with lamb chops pan fried with garlic, lemon and parsley. Make the dressing by whacking the ingredients together in a small bowl. 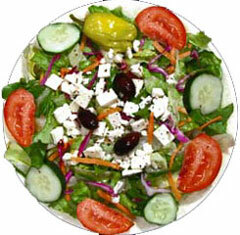 Toss all the there ingredients together in a large salad bowl. Just before serving , which the dressing once more and pour over the salad. Get a fork and tuck in! Last Wednesday my kids fancied jacket potatoes – they wanted the ones I do with parmesan and butter. But I had other ideas…..and I had a block of feta! So once the jacket spuds were cooked- olive oil rubbed and salted, I let them cool and split them. Then into a bowl I added the feta, cubed small ( do not forget to rinse your feta first to desalt it ) , 5 spring onions chopped, a red chilli deseeded and chopped, a generous knob of butter and a little pepper and a grind – only a grind mind – of rock salt. Then once the potato flesh had cooled, I scooped it out and added it to the bowl, taking care not to split the silken crispen skins. Then after a hearty mix to melt the butter and break down the feta, I restuffed the skins – this amount was more than enough for 8 halves. Then pop them back into the oven at 160c for 10 minutes. I served these tuberous gems with rocket salad and bresaola. A simple yet phenomenally taste bud tingling supper – perfect for warming one up in sub zero temperatures. Or simply dispelling the damp January blues that pervade my corner of Hampshire at present. 6tbsp extra virgin olive oil /2 tbsp fresh lemon juice / 1 garlic clove crushed / pinch of sugar / salt and pepper / 200 gm feta cheese / a whole Cos lettuce shredded or 1/2 head of iceberg lettuce shredded / 4 tomatoes quartered / 1/2 cucumber sliced /12 or so black olives / Fresh herbs such as oregano, flat leafed parsley or basil and definitely some mint ! Make a dressing by whisking together the oil, lemon juice, garlic, sugar salt & pepper in a small bowl. Set aside. Rinse the block of feta under cold running water. Then cube it into about 1 inch squares. (Some Greek tavernas leave it whole smothered in oregano for you to break up at your leisure.) Put the lettuce, tomatoes and cucumber in a salad bowl. Scatter over the cheese. Just before serving whisk the dressing, pour over the salad leaves and toss together. Scatter over the olives and chopped herbs and the mint! The mint really makes it! Don’t skimp on it! 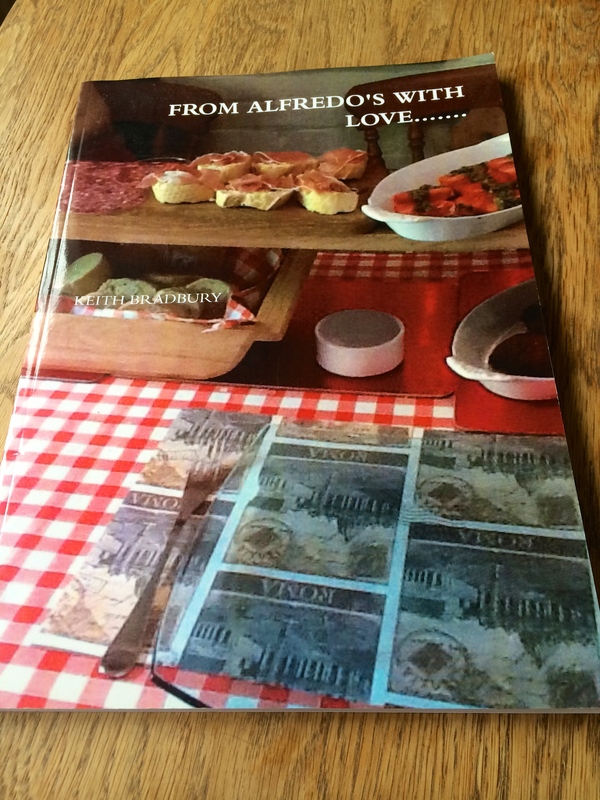 This is a family favourite for a light lunch or supper. Take a block of feta. Rinse it under a cold running tap for a moment to wash off the salty brine. Chop up and deseed a red chilli. Chop up a couple of spring onions. Pan fry lightly, very lightly in olive oil. 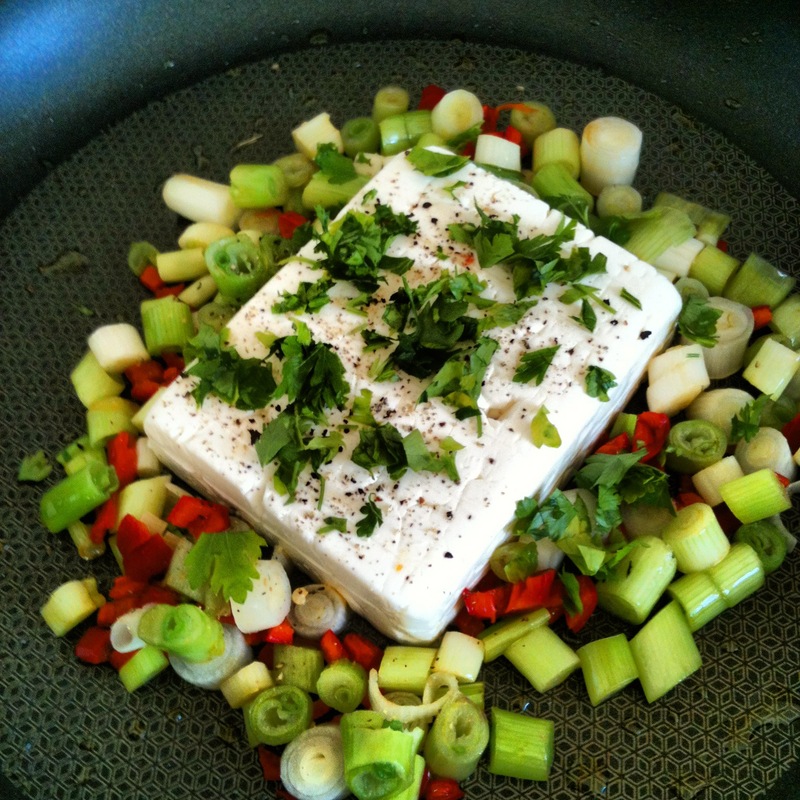 Move to one side and place the block of feta in the pan, whole. Grind a little black pepper over it. Turn up the heat a little and pan fry until it just starts to melt around the edges. Top with the chilli and spring onions. Cut into quarters. Lightly toast 4 halved ciabatta rolls. Drizzle with a little olive oil. Place a quarter of the feta on each with a share of the chilli and onion mixture. Pop on the top half of the roll, squashing the cheese slightly. Serve as quickly as you are able…. !